Thirty-six Iranian universities reportedly have excluded women to enroll from 77 major fields of study including engineering, education, and counseling. Reports say in many Iranina universities, accounting, engineering and chemistry have been exclusive to men. At the University of Tehran, only men are allowed to study natural resources, forestry and mathematics. The banning of women from university courses will make many higher-education classes exclusive to men as of next academic year. 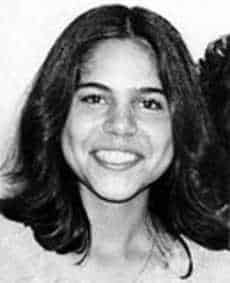 Mona Mahmudnizhad, executed at the age of 18 in Shiraz in 1983, along with 9 other Baha’i women. Today, the United States expressed concern on banning Iranian women from the 77 university courses. In Washington DC, Department Spokesperson Victoria Nuland says Iran’s decision represents a significant regression for women in Iran, who have outnumbered men in universities for over a decade, and will further restrict the ability of Iranian women to find employment. Ms. Nuland says a number of university deans have justified their actions by stating that certain courses have a “manly nature” and are not suitable for women, while Science Minister Kamran Daneshjoo has called the segregation effort a top priority to protect morality. The United States calls upon Iranian authorities to protect women’s rights and to uphold Iran’s own laws and international obligations which guarantee non-discrimination in all areas of life, including access to education. Reports say women continue to face legal and political discrimination in Iran. Some say a woman’s testimony is worth half that of a man in court, and women have unequal divorce and inheritance rights. In the 2005 election, Iran’s Council of Guardians rejected all the women who applied for candidacy. Iran is known as a country where women and girls can face stoning based on spurious allegations of impropriety, have no right to education or divorce. Women are regularly condemned to forced marriages and risk violence and imprisonment for seeking equal rights.